You do some crazy things when you’re up early because of jet lag. For us, that meant pushing our dead and dry Christmas tree out the window of our apartment at around 6am this morning. We had already eaten breakfast at that point, and we were ready for some excitement, I guess? And I went with my gut which was thinking that if we left it by the trash cans that the trash truck would take it away and I’m happy to report that my gut was right! Later today the trash truck came and hauled it away which was kind of a load of my mind. Later today I was a part of a meeting which could lead to some incredible fruit for the Kingdom if it plays out. Basically, Josiah Venture was meeting with an organization that helps do Internet evangelism. They are committed to the Gospel and the local church and I believe the Lord is blessing their efforts. Even hearing from one of their leaders today I was just impressed with his heart for the lost and his passion for this generation. These aren’t just smart guys with computers, but genuine evangelists that know we have been given an incredible tool in the Internet to get the gospel to the lost of the entire world. In fact, one of the big parts of this online site is a place for people to share their testimonies once they have put their trust in Christ. As we looked at the different pages of lots of people I was reminded just how important it is to hear testimonies of the work of Christ in the lives of people. And it’s those stories that this organization is leveraging in order for more people to hear the Gospel. 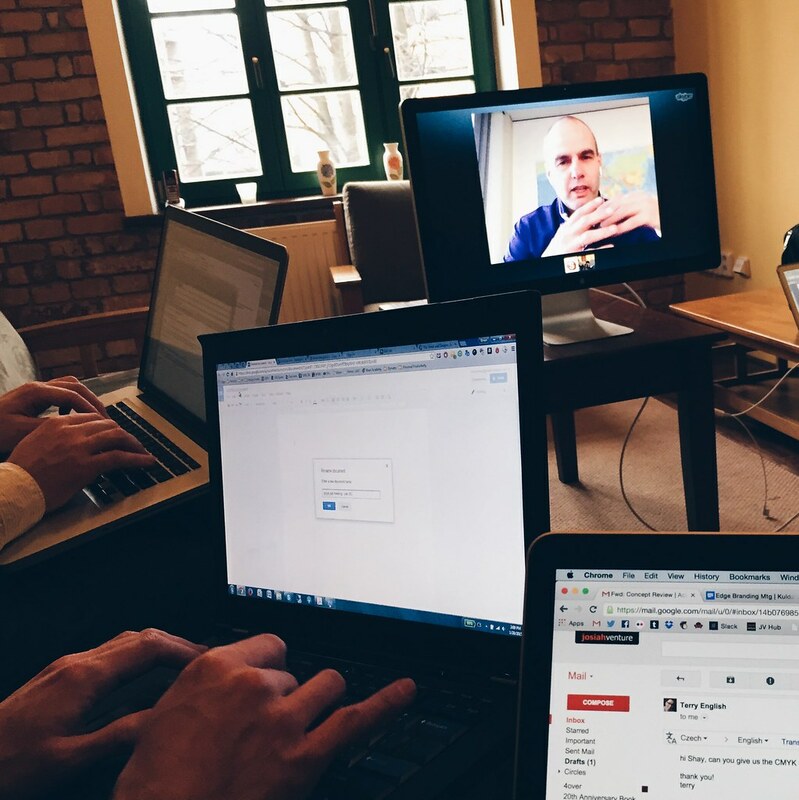 It’s really incredible just how God is using this unique ministry and I’m looking forward to being part of how Josiah Venture can be involved in using their technology to reach young people in Central and Eastern Europe. Lastly, back at home, we’ve made a tiny bit of progress with jet lag. The kids slept until a little after 1am which is better than the previous two nights. We’re still really off and we even enjoyed breakfast burritos today at 5:00am. It makes me laugh as I think about it, but then again I’m really tired so just about anything right now could probably make me get the tired giggles. Our 6th Annual Christmas Tree Video! I’m very excited to present the 6th annual Thomason Christmas tree video! This year’s has a special message hidden inside, so you’re going to have to stay with us until the end. We hope you enjoy it. Merry Christmas! Want to the previous years? Here’s a link to all the videos! We’ve been sharing how hard Sundays have been for us the past few weeks. I’m happy to write tonight that today seemed like we made some progress, especially as it relates to Titus. It was just he and I at church this morning because Avery has had a horrible cough causing her to throw up in the middle of the night. Bethany stayed home with her today in hopes of not getting any other kids sick. I ended up staying again with Titus in his class, only this time I just tried to be more of a fly on the wall and observe him than be actively involved in the class. 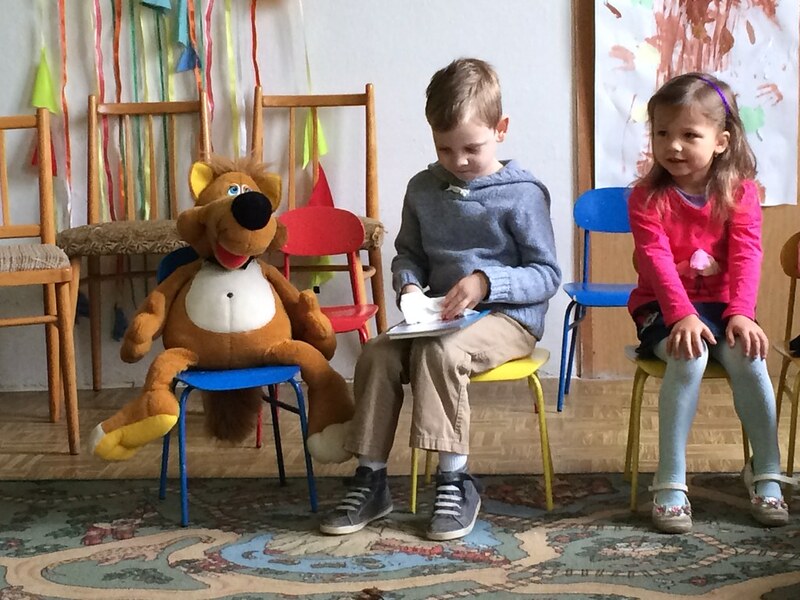 We are really trying to see how he does on his own, with just the teachers and kids talking to him in Czech. By God’s grace, I really feel like Titus did a lot better at obeying and listening today. I know this is really hard for him, as it is for us parents in all of life here, but I’m excited to see him progressing and adjusting. I’m not sure if it helped, but all of his classmates today were girls and at one point they were dancing and playing with streamers. Honestly, I have no idea what was going on but I got the video below. Sickness continues to plague us. Both Avery and I have had bad coughs for weeks now and I probably should’ve seen a doctor a while ago. This is definitely not something I want to last much longer. Tonight was the first night that Avery hasn’t had a bad coughing fit while trying to fall asleep, so we’re thankful for that. Unfortunately, Titus has been sneezing and coughing today which is a sure sign that he may be coming down with something. This has been a challenge for our family. Please pray with us for our health and for the proper care in the days ahead. On a whim tonight we made an IKEA run. We were still in need of some storage items and so we took an evening drive and headed out there. 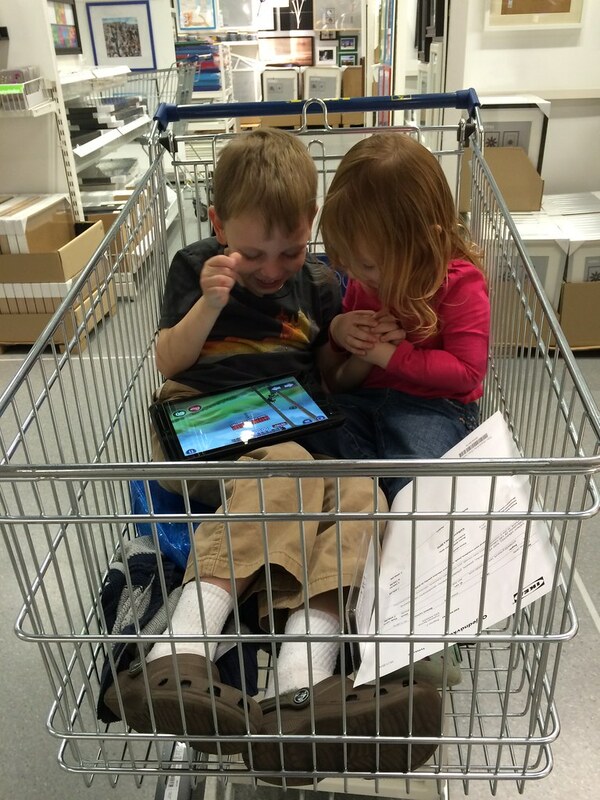 For our kids, IKEA is not their favorite place because we spend a lot of time walking through it so I brought the iPad along to give them something to play with and I got the photo above of them holding hands and laughing at a little game that they thought was absolutely hilarious. It’s always a joy to see the kids loving each other and having fun. 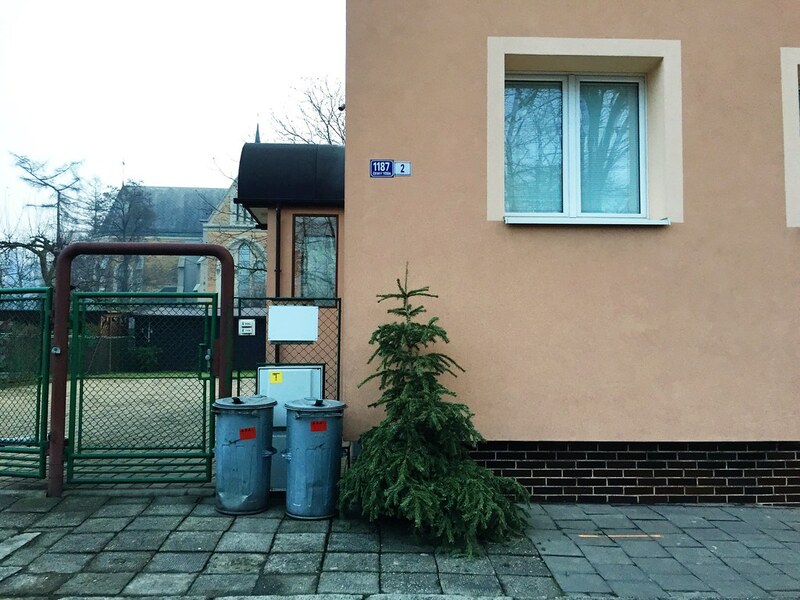 Lastly, we had heard that IKEA sells Christmas trees a while ago. This is something I have been thinking about since we landed (not kidding). I’ve been curious as to how we would be buying a Christmas tree and if we could even get a real Christmas tree. 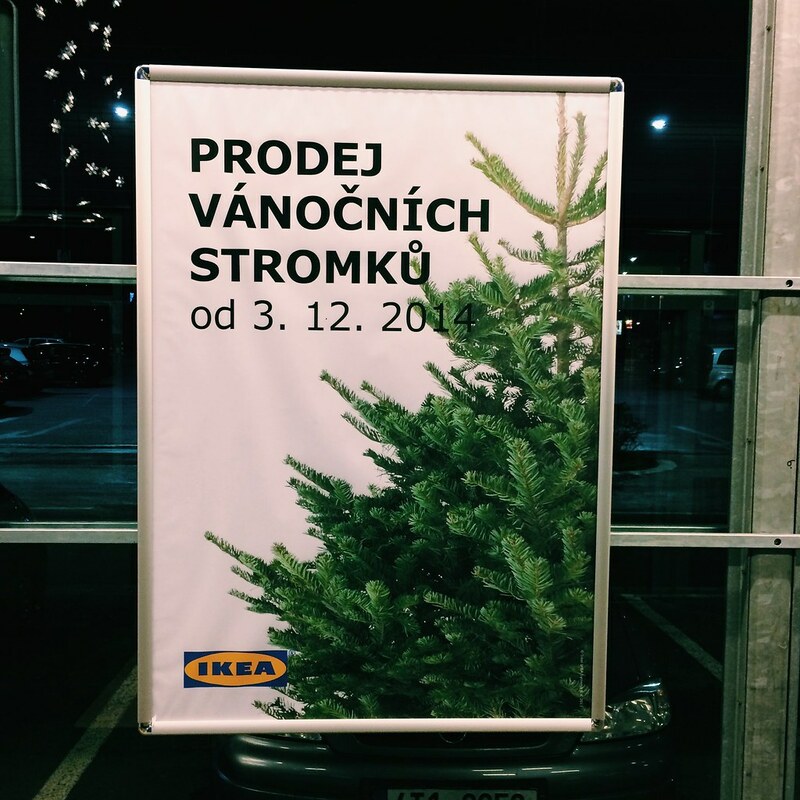 As we were leaving IKEA tonight there was a sign right as you exited (photo above) advertising Christmas trees. Apparently they will be selling trees on December 3! For those of you who have followed our family over the years, you know we have a little tradition of shooting a Christmas tree video of us getting our tree (click here to see the last five years). We’re just getting excited about Christmas and it’s nice to have a little tradition that we can continue here in Czech! Today was Titus’ third day at preschool. We all got up and walked together to his class this morning which is actually really fun. As we were putting his stuff in his cubby he told me, “I bonked my head over there,” pointing to some area in the bathroom. We’re still not quite sure about that or what exactly happened. Other than a head bonk, Titus is loving school, which makes it much easier to leave him in the morning. When Bethany went back to pick him up this afternoon he said, “Mommy, I didn’t cry for you.” He was talking about the past two days where apparently he was crying. Poor guy, but so glad he was happy to not cry. For me (Shay), the past hour or so this evening was more eventful than the entire day. I took the car to get gas around 8:30pm tonight. We’ve got an early morning and I was going to do gas and a grocery run and grab a few things for Bethany. When I got to the station I realized I forgot my wallet and had to turn back. Upon returning to the station I pumped the gas and went inside to pay. Swipe…card declined. That’s weird? I know how much money is in our account and I used my card earlier today with no problems. Swipe again…nope. The lady of course said something to me in Czech, but it was clear when she said, “Ne” or “No.” Ok, try another card. Swipe…nothing. Swipe again…still nothing. Card number three comes out and it’s my Czech bank account card with a special chip inside. I swipe it, the lady tells me in Czech that it has a chip and to hold on a moment. I put the card in: “Enter Pin.” Oh no. I don’t know the pin to this card! I call Bethany at home, she scours through a stack of paperwork and finds my pin, I enter it, and…approved! Finally! Can I go home now? It took some time, but I finally got it squared away with our bank on the phone tonight. They thought there had been fraud but we cleared it up. And I did end up making it to the grocery store which is where I saw the above photo as I was driving in to the parking lot. 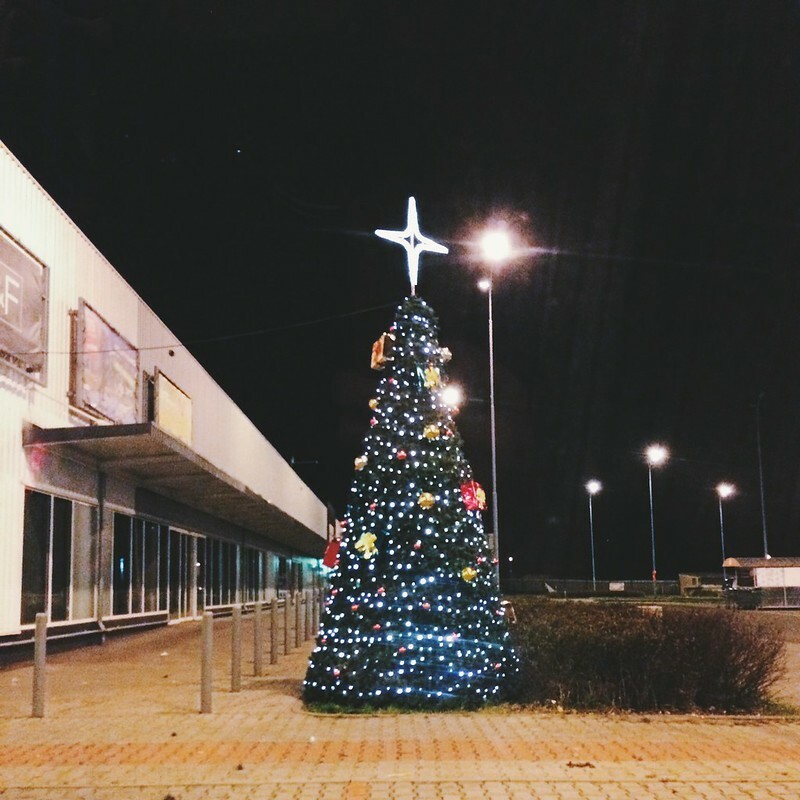 Just outside of Tesco (one of four different grocery stores we shop at) is a huge Christmas tree, fully decorated. It instantly brought a smile to my face and I took the photo so I could show it to Bethany. I like the big star on top. I like the size in general of the entire tree. It’s funny how weird it was to see one. Maybe they are super normal in Czech, but I genuinely don’t know. Halloween isn’t big here and they don’t really have Thanksgiving (that I know of), so I guess Christmas is the next big holiday? Either way, it was nice and a bit of a bright spot on my night. Even as I write I’m reminded why we celebrate Christmas: the coming of Christ. It’s a sober reminder because we know it meant He would come and eventually die for our sin. But it’s a welcome reminder as to why I’m sitting in the Czech Republic: to tell others about Him.